Advanced AutoCAD DVB Password Remover that allows user to recover lost or forgotten passwords of password protected .dvb VBA file. AutoCAD DVB Password reset software to support the reset of passwords of all major versions of AutoCAD. All versions of AutoCAD supported ranging from 2015 to previous. Remove multilingual passwords generated with symbols, digits, etc. 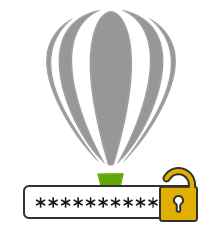 Demo version will show only 2 characters of the new password that is generated by the tool. The rare requirement of changing long used codes in a condition similar to the one described above, it is necessary to be available with the DVB file password. However, the loss of password is also certain in such case, which makes it difficult to access the codes itself. Conditions like these call for the need of an AutoCAD DVB password remover application that doesn't legally help bypass security. A similar application exists by the name of Autocad DVB Password Remover by Purchase Software. The tool is built with the following qualities that facilitate the process of bypassing security from an AutoCAD DVB file offering access to its codes without revealing the previous password. There is a freeware version of the software available for offering the preview of application performance. You will be able to process the DVB file and recover the password. However, only the first two characters of the new software generated password will be displayed as part of the demonstration. Nevertheless, the licensed copy of the software is appropriate for availing complete facilities of the software without being limited at any point. The software supports AutoCad 2015 version. Yes, AutoCad VBA password remover supports 2015, 2014, 2013, 2012, 2011 and all below versions. The software can remove forgotten VBA password. Yes, the software provides facility to user can remove forget password and reset a new password. The software supports multilingual AutoCad password. Yes, software supports multilingual password.